Prentiss Farsee is my new car salesman. He is a great help when it comes to buying a new vehicle! I cannot say enough about how great he was to work with! I knew my lease was up and was a little nervous about securing my new lease but was completely happy with the speed and ease with the whole process. I'm very happy with my new 2019 Toyota Corolla Hatchback. Great, friendly service! Routine service work was done within an hour. Polite , Courteous ! Explained things very well. Milwaukee’s Andrew Toyota in Glendale, Wisconsin brings Toyota enthusiasts a selection of 500+ new and used Toyota cars, trucks, and SUVs. We have Toyota certified mechanics to ensure you get top-of- the-line auto repair in Milwaukee. In addition, we always publish monthly Toyota service coupons and special discounts. We want to save you on Toyota services as small as an oil change or tire rotation, to as big as a transmission or brake concern. Conveniently located on Silver Spring Drive in Glendale, we serve the Greater Milwaukee area, including Mequon and Whitefish Bay. 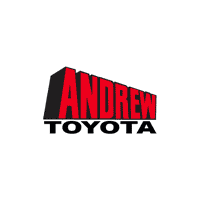 Have you searched for a “Toyota dealer near me?” Why not choose Andrew Toyota? We are a Milwaukee area Toyota dealership that offers a huge selection of new Toyota car, trucks, vans, and SUVs. Even if you don’t see it on our website, we always have vehicles coming into our new Toyota inventory that we can get for you. Then when you find the perfect Toyota, you can build your car deal via our Online Shopper Tool. This unique feature provides Milwaukee car buyers the flexibility to explore financing options from over 21 auto loan lenders. Buyers can also customize their new Toyota payment, and get an instant estimate on their trade. Milwaukee used vehicles can come with maintenance plans at Andrew Toyota in Glendale, Wisconsin. Andrew Care is a special 2-year, 25,000 mile maintenance plan that is included with the purchase price of all eligible used cars, trucks, vans, and SUVs. Not sure what vehicle you want? You can even shop by the features that you need for a used car at Andrew Toyota. Also, most of our used vehicles have also been bought and serviced right here in Milwaukee. So if you need a used car with one owner and a clean service history, visit our Toyota dealership! At Andrew Toyota, your Toyota vehicle will be worked on by some of the best in the business. We proudly employ several Master Technicians. These techs have the highest levels of training and years of experience working with Toyota vehicles. Plus, we are a Toyota Express Maintenance Center. That means our technicians work on your vehicle via a pit crew approach to get you in and out of our Milwaukee Toyota Service Center as fast as possible. Saving time is so important to us that we offer a complimentary shuttle to get you back to work in downtown Milwaukee, West Allis, or even Wauwatosa. In addition, we have the tools to help you personalize your Toyota. Our online accessories store offers deals on everything from floor mats, to tow hitches, to crossbars, remote starts, custom leather installation, and much more! From ToyotaCare, oil changes and tire rotations, to new Toyota TrueStart batteries and brake work, we have the in stock Toyota parts and expert staff to get you back on the Milwaukee road ways fast. Our commitment to our Milwaukee area customers does not end when you sign on the “dotted line,” it’s for life! The staff at Andrew Toyota works diligently every day to ensure each customer receives excellent customer service. From the Toyota sales team, to our Toyota Service Center, to our Toyota parts department, we are committed to providing competitive prices, efficient service, and pleasant experiences. Working with our team should be memorable and fun! We have had customers come to Milwaukee from Green Bay, Sheboygan, Madison, Kenosha, West Allis and all over the state to experience the Andrew Toyota difference. Thank you for considering Andrew Toyota. We hope to be your Milwaukee area Toyota dealer of choice for all your automotive needs.